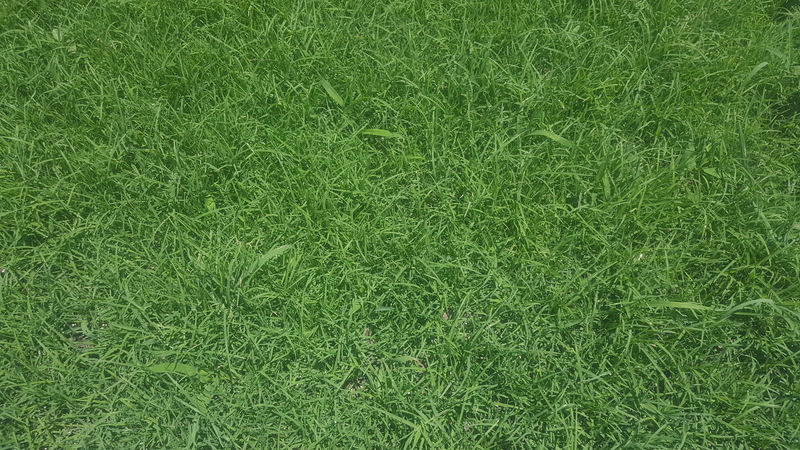 Bermuda Triangle Bermudagrass is a warm season, introduced, perennial turf grass. It is primarily used in Athletic Fields, Parks, Golf Courses (Tees & Fairways) and Home or Commercial Lawns. Bermuda Triangle Bermudagrass seed is a blend of Certified Mohawk Bermuda, Sultan Bermuda and Sydney Bermuda grass seed. 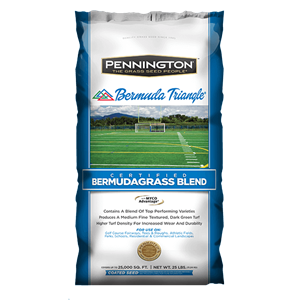 The seed is coated with PENKOATED and is produced by Pennington Seed, Inc.
Bermuda Triangle Bermudagrass should be planted on well drained soil with full sun light. Soil temperatures should be 65F or higher. The seeding rate should be 2-3 Lbs per 1,000 sq. ft. .